At the base of the neck is the longest nerve in the body called the vagus nerve, a nerve that is a critical component to the entire nervous system of the human body. 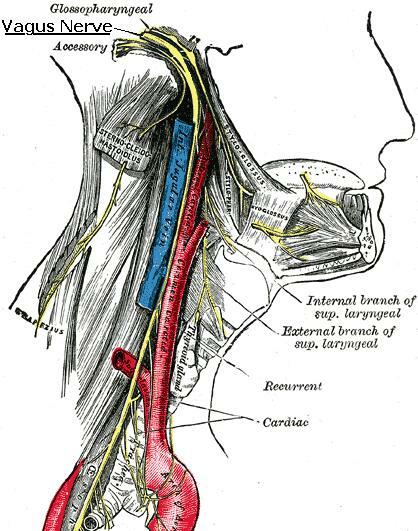 The vagus nerve is a mixed nerve and emerges from the medulla oblongata numerous roots. It innervates the organs of the neck, chest cavity, digestive tract, organs retro-peritoneal space. It contains motor, sensory and autonomic (parasympathetic) fibers. According to Dr. Tracey, the vagus nerve transmits electrical impulses to and from several organs and the brain. What is important to consider is that the vagus nerve is part of the circuit that is the human nervous system and responsible for the transmission of the chemical agent responsible for inflammation: tumor necrosis factor (TNF). At the School of Chi Energy, advanced energy cultivation is based on a Nerve Fiber Building Exercise. 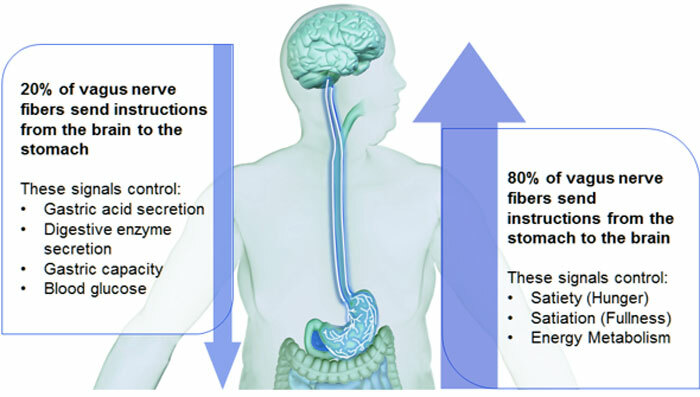 Without proper instruction the buildup of the nerve fiber system is wrought with potential pitfalls. Seemingly innocuous, these dangers are anything but; life threatening and otherwise, chi training is the double edged sword; without proper guidance and mindful engagement, that which makes your life better can just as easily cause unforeseen and far reaching harm. Aware of this aspect of chi energy, the two Sifus often encourage students and instructors alike to take the time to transfer a coolness into the base of the neck throughout the day which directly affects the vagus nerve, but especially prior to Nerve Fiber Building and other Chi Energy Training exercises. The reasons are scientifically fascinating. In the article, “Shock Medicine” the Feinstein Institute for Medical Research documents the research by Dr. Kevin Tracey and his exploration into the field of “electronic medicine”. According to Dr. Tracey’s research, the vagus nerve has the ability to control inflammation within the human body. Whereas there are moments when inflammation is the correct response, it is a rarity indeed. More often than not, inflammation is a health hazard and left unchecked, can result in many diseases, such as rheumatoid arthritis and lupus. Heretofore, the interconnected nature of the nervous system and the immune system was something that was largely overlooked. It would seem that these two systems are integrated in more ways than we are currently aware. At the cutting edge of this research is the vagus nerve. Dr. Tracey developed an electrical device that stimulates the vagus nerve and prevents production of TNF by a type of immune cell called a macrophage, effectively inhibiting inflammation. Students at the School of Chi Energy can do this very same thing without expensive and invasive surgery. Students find by simply following the instructions provided in the online school instructed by Sifus’ Jones and Cicero with a step by step method of building bioenergy or better said biophotons. In tandem, the School of Chi Energy Practitioner is taught by being mindful of particular attributes of how to change their inner temperature thus directly effecting the entirety of the vagus nerve. These key attributes are how they can control the response of the vagus nerve and how it interacts with the larger circuit that is our nervous system and have it propagate the tangible sensations of a good feeling and a cool temperature throughout our host bodies, feeding into the organs themselves. Most energy systems also rely on building up their blood circulatory system trying to get their body’s hormonal flow to be stronger thinking that this will led to more chi capacity. This often causes a person to go thru unwanted bad side effects, like headaches, muscle or organ pains and more; it can happen when too many hormones enter your body’s blood system too soon or as a result of heating up the inside of your body too much & for too long a time. Plus often times a person building up chi too fast in those ways can come across to others in an intense or aggressive manner. We show a Student how to by-pass all these possible trouble areas that can cause a person problems, while they are trying to harness a lot of energy. Students will learn how they can go straight to building up their body’s chi energy capacity and how they will make substantial gains in a minimum amount of time. It is in the body’s nerve fiber system that the body puts off bio-energy or these bio-photons that people want to be able to cultivate in a big way. Elsewhere in the website we explain exactly what bio-photons are and how they are projected from the body thru your nervous system. We’ll show you how scientists can prove their existence thru the machines they have built to do so. See the Rhine Center Experiment conducted with one of our Instructors for more information on that process. It is thru this new way of cultivating chi energy in large amounts that is performed completely different than traditional styles teach their exercises, that we have discovered ways to form your chi into place. It is in learning this kind of forming your chi in place process that will lead Students to the higher levels possible with energy work. Sadly, when we fail to remain mindful and control the attributes, electricity, bio or otherwise, is still electricity: it is hot and very destructive. Left unchecked, inflammation is the least of the concerns. However, mindful guidance of the attributes of bio electricity and how we engage our host bodies makes all the difference. Hopefully these sentiments will resonate and encourage you in your training.